When you’re dreaming of a romantic setting, there is no doubt that roaring fireplaces and delicate candles will feature prominently. During the heart of winter, there is nothing better than curling up with a good book or with a loved one, nice and cosy. In most cases, these fireplaces and candles will be located in the lounge or bedroom setting, but have you thought about adding them to your bathroom design? 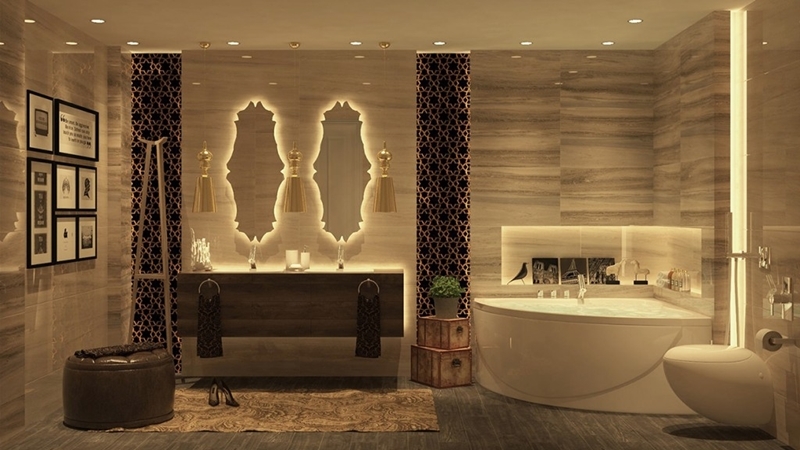 It might seem like an unusual idea, but fireplaces are a popular option in luxury bathrooms around the world. In a room designed for relaxation and cleansing off the day, fireplaces provide that special touch of elegance and warmth. Imagine coming home after a cold and rainy day into a bathroom with a warm fire and a hot bath – sheer bliss. It’s also important to remember that fireplaces will increase your home’s value, adding a point of difference for potential buyers when looking at the market. 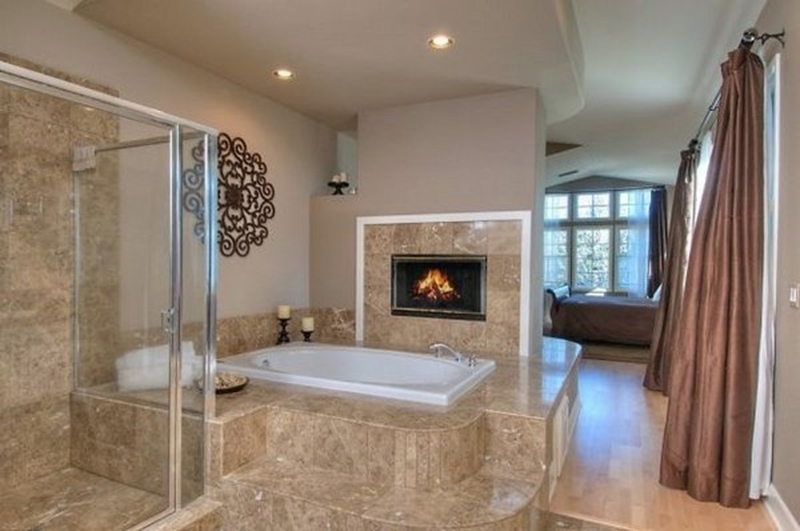 Of course, with a fireplace in your bathroom, you may never want to sell! How is a bathroom fireplace designed? Worried about how a fireplace could be installed in your home? The Bubbles Bathrooms design team prefer to use a direct-vent gas fireplace that is self-contained and vented out the nearest wall. This means that no chimney or foundation is required – allowing a simple build. This type of fireplace is also available with two or three sides, making it possible for a two-way fireplace between your bedroom and the bathroom. On a chilly winter’s night, you can enjoy the warmth and comfort of a fireplace in both rooms! The quintessential partner for fireplaces is candles. Offering relaxing and romantic undertones, their sparkle on a dark and stormy winter’s night can make you forget about everything that’s happening in the world. From a design perspective, we can add extra niches during the renovation phase specifically for candles and diffusers. Complement ambient lighting with scented candles to create the ideal romantic environment. All candles need to be kept away from flammable objects, such as towels and hair, and you should never leave them unattended. To learn more about introducing fireplaces and candles into your bathroom design, feel free to reach out to the team at Bubbles Bathrooms today!